With Lynda.com, you’ll learn all kinds of things that you never knew. Though the site has humble roots reaching all the way back to 1995, over the years it has turned into one of the best sources for online video courses. 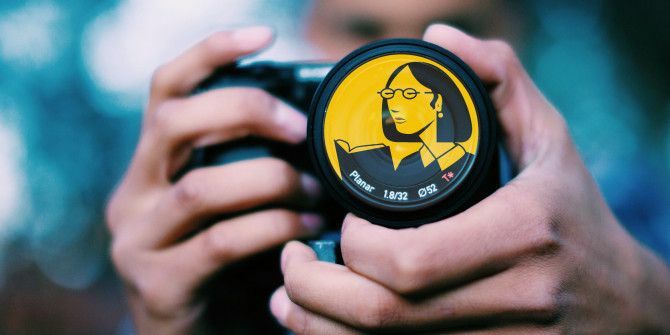 The knowledge on Lynda.com isn’t available for free, but look at it this way: a $25 monthly subscription is cheaper than the cash you’d spend on decent camera gear and much more affordable than paying your way through photography workshops. 25,484 video tutorials packaged into 546 photography courses is a lifetime of learning. Yes, that’s just for photography. There are thousands of other courses across hundreds of other topics! So, go ahead, ask me which photography course to take on Lynda.com, and I will say – ALL of them! But to help you start, here are the photography courses we’d recommend if you want to snap right to it. Unpack your camera. It could be just your smartphone. As an absolute beginner to photography Key Photography Tips for Absolute Beginners Key Photography Tips for Absolute Beginners Our photography tips will help you take better photos, whether you're a beginner or have some practice already. Read More you need to familiarize yourself with the basics without getting into too much technical mumbo-jumbo. Here are three recommended courses for shooting right. Ben Long is a veteran Lynda.com instructor and photography teacher. This particular course is just one of several in his entire Foundations of Photography catalog. Before you jump to other topics like understanding exposure or playing with black and white, use this five-hour course to learn how you should work your shots. This is categorized as an intermediate course on Lynda.com, but I would start with this one because it has a lot of good advice on the ways you should see a scene. Follow the exercises and try to simulate the workshops in your own home or backyard. It is an unwritten rule of photography that if you have a camera in your hands, you should have Photoshop on your computer. 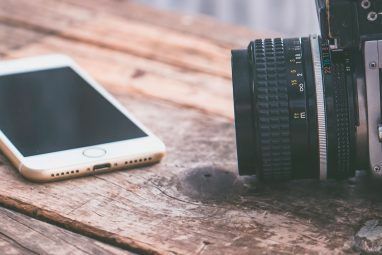 A few retouching skills like cropping and histogram adjustments How To Read Your Camera's Histogram And Take Perfectly Balanced Images How To Read Your Camera's Histogram And Take Perfectly Balanced Images Read More are necessary to know even from the start. The series is sprinkled with segments that inspire viewers to think photographically and shoot with Photoshop’s capabilities in mind. The segments on sharpening and reducing noise, or even selectively correcting a photo, should help with creating the perfect photo. Any serious photographer will shoot in RAW format. It’s undeniably more powerful and flexible than shooting in JPG. For this, you can choose between the Adobe Camera RAW plugin How To Edit RAW Photos in Adobe Camera Raw How To Edit RAW Photos in Adobe Camera Raw Read More for Photoshop or just going for Lightroom. If you already have the Photoshop plugin, you might feel like Lightroom is unnecessary — but you would be wrong. Because Lightroom is specifically designed to handle a serious photographer’s post-processing workflow, we prefer it. In this course, Chris Orwig continues your photography education with another five-hour set of videos that focuses on Lightroom essentials. The structure follows the workflow you are likely to use for managing all your shots. In the first two minutes of the course, you will learn exactly why you need Lightroom. I think it’s safe to say that you will fall in love with Ben Long’s avuncular style. If you took his first course that we recommended and liked it, then we recommend continuing with the remainder of his course catalog because they cover pretty much all important aspects of photography. In this course, the kindly teacher returns to give you a weekly dose of photography wisdom. What’s unique about this course is that it’s ongoing. Every week, Ben Long takes you through yet another shooting scenario. Sometimes that means analyzing gear, teaching a software technique, or maybe just sharing his perspective on something tangential to photography. Every episode ends with a call-to-action designed to get you picking up your camera and going out to practice. The latest episode is always free, but a Lynda.com subscription gives you access to all the episodes throughout the course’s history. Light doesn’t play favorites, and that’s why it is important to understand how light works. This means learning about exposure and dynamic range and how they both relate to your camera. This is a short but advanced course for photographers who are already familiar with the grand trio of aperture, shutter speed, and ISO Key Photography Tips for Absolute Beginners Key Photography Tips for Absolute Beginners Our photography tips will help you take better photos, whether you're a beginner or have some practice already. Read More . The one-hour lesson takes you into advanced concepts, like spot metering and how to fix exposure in-camera before you touch it with Photoshop. If you are like me, all you want to do is shoot with ambient light. But understanding the tricks of flash 5 Flash Tips for Speedlight Newbies 5 Flash Tips for Speedlight Newbies At its core, the camera flash is a simple piece of technology that's deceptively hard to use well. Read More and perfect lighting is what professional photography is all about. Strobist.com is a unique resource that focuses on nothing but flash photography, which means David Hobby (founder of Strobist) is the right man to teach us all about it. His tips stress on practical knowledge rather than expensive flash gear. The course includes diagrams and detailed explanations of various lighting setups to make it easier to understand the complexities of flash in photography. 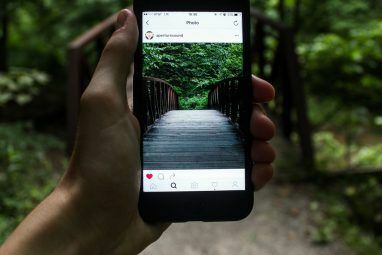 It’s great if you are releasing your photos to the public domain, or even licensing it with Creative Commons What Is Creative Commons, And Should You Use It? What Is Creative Commons, And Should You Use It? Creative Commons is a set of licenses which automatically give you permission to do various things, such as reuse and distribute the content. Let's find out more about it and how to use it. Read More , but the downside of both is that you won’t make much money that way. If you want to retain rights to your photos, realize that professional photography is serious business with lots of legal stipulations. This one-hour course with Ben Long and Carolyn E. Wright won’t make you a legal expert, but it will give you enough awareness on how to register your work and follow through on infringement claims. Indeed, there are several legal issues that no photographer can ignore 5 Legal Issues No Photographer Can Afford to Ignore 5 Legal Issues No Photographer Can Afford to Ignore As fun as it is to take photos, there are important laws to obey. Ignorance is not an excuse, so stay up-to-date before it's too late. Read More . You might want to pair this up with the companion course, Photography and the Law: Photographers’ Rights and Releases. Every learning endeavor needs an end goal. With photography, picking an end goal is easy. 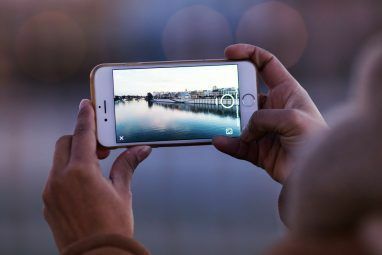 There are many photography projects 7 Photography Projects That Could Change The Way You Look At Selfies 7 Photography Projects That Could Change The Way You Look At Selfies If you do it right, the selfie is elevated to the high art of self-portraiture. These seven creative photography projects could inspire you to think out of the box. Read More you can creatively think up on your own or tweak existing ones to make your own. The following ideas come with expert advice. The beauty of star trails and the frustrations of noisy photos. Get all the tips on how to develop your night shots with the right gear. Do you have what it takes to be a great street photographer? Candid street photography is one thing while posed street photography is another. The good news is that this course explores both sides and ends up teaching you how to excel at whichever one you prefer. This is one pick from The Traveling Photographer series from David Hobby. I would start with the fundamental traveling photography course and then pick a city from the series to see how it’s done. It’s not only about clicking iconic photos, but also about finding cheap food and lodging along the way! Today, storytelling is a buzzword. You can say a thousand words with one photo, or give a commentary with many. Expert photojournalist Douglas Kirkland shows you how to set up a scene and weave your photos into a fascinating story. Every course on this list talks about “the photographer’s eye” in some way, but it bears repeating here as Douglas Kirkland explains how to keep your eye open for photographic opportunities and milk those opportunities through composition and other creative choices. What Is a Professional Photographer’s Life Like? We have harped on photography as a profession. But what does that mean? What does a photography career 5 Most Lucrative Careers for a Budding Photographer 5 Most Lucrative Careers for a Budding Photographer Want to make money with photography? There are a lot of potential career paths before you. Here are a few considerations to help you make the right choice. Read More really look like? This is where the advice below proves useful. Go behind the scenes with the likes of David Hobby, Lauren Randolph, Derrick Story, and Douglas Kirkland. All of them have one thing in common – they share how they started their photography journey. I decided that my compass point would not just be community photography and community journalism, but I wanted to produce a body of work that would grow over twenty years, and 100 years from now would be a fantastic resource for someone wanting to know what Howard County was like between 2010 and 2030. I’m constantly practicing, I’m constantly shooting photos, I’m constantly looking for composition and if other people weren’t looking or seeing or responding then maybe I’d get lazy or maybe I wouldn’t shoot as much, and so it’s nice to have like a community keeping you involved. You are recording a very important piece of history. You want a great image that lasts into the future and people remember. I love always to document family, as I did my kids when they were growing up. I find it best to start with the available light. Respond what is with you, what is in the air, what is in the location. I ate beans and rice for a long time. But at least the whole time I was doing what I wanted to do and I stuck with it. So that, you know that has always been my career advice. Get as close to, you know, what you love as possible and you know, stick with it. Now, Get Out There and Shoot! Stuck in a photography rut 8 Easy Ways To Get Started With A Photography Habit Today 8 Easy Ways To Get Started With A Photography Habit Today Each day can be a new beginning. A hobby like photography also needs the discipline of a habit, and you can give it an extra motivational push with the help of the Web. Read More ? Get out of it because it is a long journey… sometimes arduous and sometimes costly. But it is always fun. Lynda.com is one of the few places where you can get a complete education, but it won’t be complete till you dust-off the camera and hit the pavement or the beaches. Have you tried Lynda.com? Which course or instructor has taught you the insider secrets for the right shots? What is your best advice for an aspiring professional? Let it out in the comments!